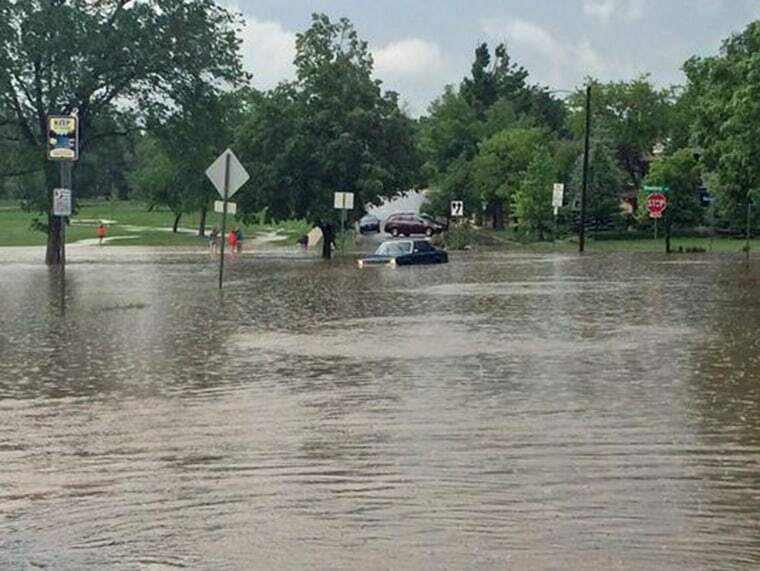 Heavy storms caused flooding in Colorado’s Front Range on Friday afternoon, triggering an evacuation at Boulder’s municipal building and submerging roads in a foot of water in Weld County. The storms developed in the mountains, then swept toward the plains, producing more than an inch of rain in less than an hour in some areas, said Michael Palmer, a meteorologist with The Weather Channel. “That’s quite a bit,” Palmer said. "Especially in this area." In the foothills, Palmer said, the water funnels into Boulder Creek, causing a rapid rise in water levels that pushes into the streets. Still, the storms were minor compared to those that ravaged the region last September, when nearly a foot of rain fell in half a day, Palmer said, killing several and destroying everything from homes and highways to oil fields and bridges. By Friday night, the storms had moved toward the Nebraska panhandle.